Complainant Roger Martin and Respondent Sandra Blevins were married (to each other) from 2010 to 2013. While “[t]he Parties dispute the extent of their professional relationship,” it appears to be undisputed that Ms. Blevins provided marketing and business development services for Mr. Martin during the course of their personal relationship, including website design and domain name registration. For example, in 2009, Ms. Blevins registered both the domain name <rogerlmartin.com> and the disputed domain, presumably on behalf of Mr. Martin. Both domains were registered in her personal name. The Parties entered into a separation agreement in 2013. Purporting to “settle all issues between the Parties,” the agreement called, in part, for Ms. Blevins to transfer the <rogerlmartin.com> domain to Mr. Martin, which she did. The disputed domain name was not addressed in the agreement, and Ms. Blevins did not transfer it to Mr. Martin. In light of the Panel’s finding on bad faith (below), it does not address this prong. The Panel then steps back to note the “far wider issues which have been placed before the Panel.” In particular, questions arise regarding the nature of the Parties’ relationship (whether a “joint adventure,” subcontracting arrangement, or otherwise). The separation agreement would also need to be addressed, including the term making it the “full and final settlement of all issues between the Parties” despite addressing only one of two domains registered, ostensibly for Mr. Martin, by Ms. Blevins. The Panel, not surprisingly, declines to jump into a fact-intensive, personal dispute between a divorced couple. This falls into the “Soured Relationships” category of cases I blogged about back before I let this blog fall by the wayside in (ahem) 2011. Speaking of which, it’s good to be back. Of course, Mr. Martin gave the Panel an out by offering no evidence of bad faith registration. On the one hand, he asserts that he retained his wife to provide “marketing and business development services, including website design and domain name registration,” and that she registered the disputed domain for him in that capacity. On the other hand, he claims that she “knowingly registered the disputed domain name for herself” in bad faith by listing herself as the registrant. Yet there is no suggestion that she intended to register the domain for anything other than Mr. Martin’s benefit, and the fact that he was presumably able to freely use the domain for years afterwards for his business would seem to counter this theory of bad faith registration. Is the idea that she was playing some sinister long game? Sounds like a great premise for a domain-name-themed psychological thriller. On June 20, ICANN approved its much-discussed plan to allow generic top-level domains. Sometime in the next year or two, the 22 generic top level domains we all know and love (“.com,” “.org,” etc.) will be joined by an ever-growing set of custom top-level domains (TLDs). Applicants will be given the opportunity to pay a $185,000 application fee to register TLDs corresponding to corporate names or phrases, community interests, or anything else. Peter Lando, one of the partners at my firm, hosts the IP Counsel podcast. He recently discussed ICANN issues, including the new gTLDs, with Mary Wong. Wong is a Professor of Law at my alma mater, the University of New Hampshire School of Law, and Director of the School’s Franklin Pierce Center for Intellectual Property. On a personal note, I took Professor Wong’s practical course on copyright licensing as a student and enjoyed it immensely. I highly recommend giving this engaging discussion a listen, and would recommend the same even if Peter weren’t signing my paycheck. Is “amphora” generic for wine? 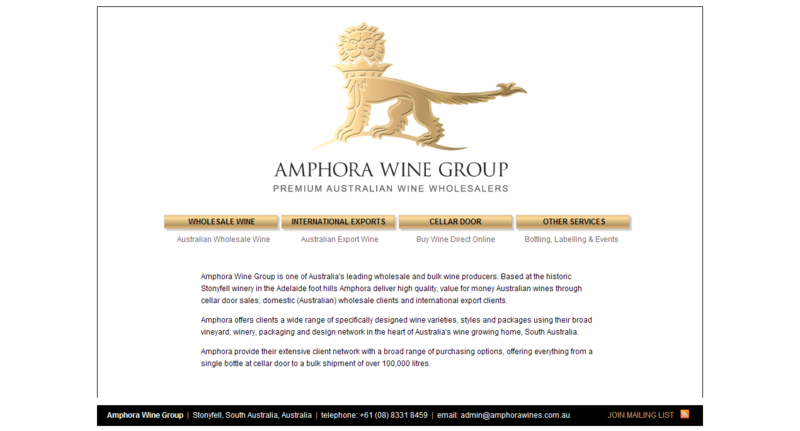 Respondent Amphora Wine Group Pty Ltd, William Howard (“Amphora”) have been operating under their current business name since 2008. [The decision does not state when the domain was registered.] The business generates AU $3.2 million annually in sales to Australia, China, Hong Kong, New Zealand, amd Tonga. The Panel notes that “there can be no doubt” that Hutchinson has demonstrated its rights in the mark AMPHORA, though it has not established rights in AMPHORA WINES. In the Panel’s view, the difficult question is whether the disputed domain is confusingly similar to the mark. The Panel asserts that the common element between the marks, “amphora,” is a “generic” word used in relation to wines for over 8,000 years. Nonetheless, the Panel accepts that it is “plausible” that the mark and the disputed domain name are confusingly similar. Given its decision on the second prong, however, the Panel does not decide this issue. In the Panel’s view, Hutchinson failed to overcome Amphora’s assertion that it chose its name (and the disputed domain) in 2008 with the “generic” meaning of the word “amphora” in mind. Thus, Hutchinson failed to make out a prima facie showing that Amphora lacked rights or legitimate interests in the disputed domain. In light of the Panel’s decision on the second prong, it declines to consider the third prong. In my view, this decision took the wrong turn at every opportunity. First, I’m not convinced that the term “amphora” is generic for wine. At most, it was generic at one time for a container not usedwith Hutchinson’s wine. The proper inquiry is whether consumers would view the term as generic. I think it’s safe to say that most people would have no idea what an amphora is. One article on the genericness of obsolete words gives this example: “[W]e suggest that the term ‘bodkin’ for knives [quoting from Shakespeare’s Hamlet] would be a perfectly acceptable trademark.” A. Greenbaum, J. Ginsburg & S. Weinberg, A Proposal for Evaluating Genericism after “Anti-Monopoly,” 73 Trademark Rep. 101,125, n. 63 (1983). Of course, those authors were considering an obsolete term directly describing a non-obsolete good, whereas here the obsolete term describes an obsolete container for the good. Accordingly, the fact that Hutchinson (along with every other winemaker in the United States) does not use amphoras to sell its wine seems to preclude a finding of genericness. Even more puzzling, if one accepts that “amphora” is generic, then how does Hutchinson have trademark rights in the term, as the Panel finds? If asked (I wasn’t), I would analyze the case as follows: As I understand the term’s current meaning as it is likely perceived by relevant consumers, AMPHORA seems to be inherently distinctive for wines. Since Hutchinson has used the mark continuously since 1998, it has common law rights in the mark to assert against junior user Amphora. Under the first prong, the disputed domain can be rendered for our purposes as “Amphora Wines”, with the inherently distinctive term “Amphora” being the dominant portion of the mark as opposed to the generic term “wines.” Thus, “Amphora Wines” is confusingly similar to the AMPHORA mark. In fact, the addition of the actually generic term “Wines” to Hutchinson’s mark only adds to the confusion, since Hutchinson also sells wine. In the end, this decision would probably turn on bad faith, and there appears to be very little evidence of Amphora’s intent in adopting the disputed domain name. Thus, since the complainant bears the burden of proof on that issue, the outcome may very well have been the same. And of course, it goes without saying that I didn’t see the evidence of record. Still, I can’t say that I agree with the Panel’s approach here. Respondent Credit Card Marketing Services (“CCMS”) registered the disputed domain name on February 23, 2004. There is no evidence to suggest that the disputed domain has ever been used. 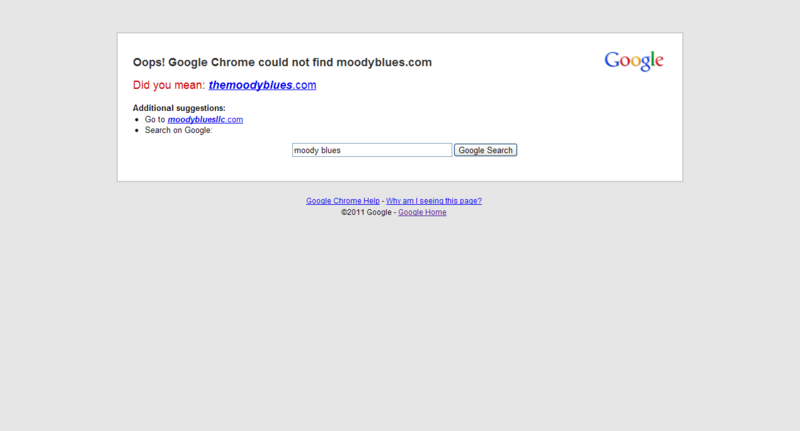 The Panel takes “administrative notice” of the musical group “The Moody Blues”. Complainant PAID, Inc., has provided no evidence of an association with that musical group. Though CCMS claims to own a trademark registration, it has not submitted any evidence thereof. The Panel sua sponte searches the USPTO’s records, but finds nothing tying PAID to the musical group. The Panel notes it has discretion to require additional factual submissions from PAID in order to clarify this point, but declines to do so. Instead, it dismisses the complaint. Because PAID has not succeeded on the first (or “zeroth”) prong, the Panel does not consider the second and third prongs. It’s surprising that representatives of the band that gave the world “Nights in White Satin” would screw up so badly on something as basic as standing. Summary of Lorenzo International Limited v. Tucows.com Co. / Tucows Inc. Established in 1983, Complainant Lorenzo International Limited (“Lorenzo”) is a Hong Kong-based designer and retailer of “conceptualised lifestyle furniture.” Lorenzo claims to be the owner of 41 trademark registrations in 21 countries for the mark LORENZO, the earliest dating to May 1989 in Singapore. Respondent Tucows.com Co/Tucows Inc. (“Tucows”) is a Canadian domain registrar. As part of its NetIdentity service, it has registered over 42,000 domain names consisting of surnames in order to provide personalized email addresses to persons having that surname. Tucows registered the disputed domain name in October 1996, predating all but the Singapore registration for LORENZO. 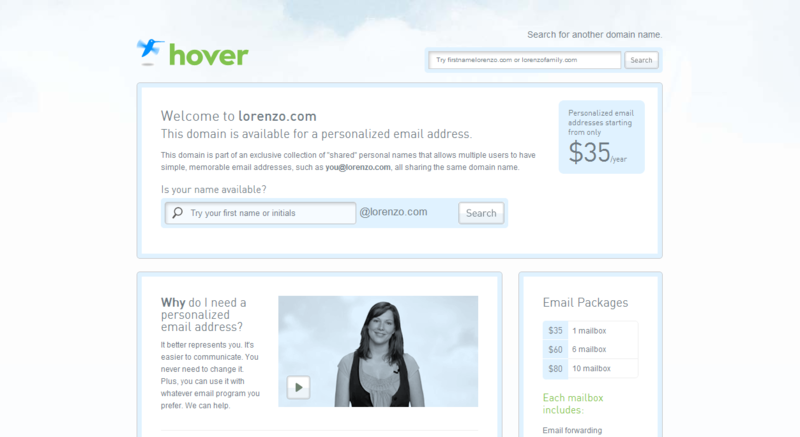 The disputed domain points to a website relating to the personalize email address service. The Panel notes that Lorenzo is not listed as the owner of the trademark registrations it has submitted. Nonetheless, the Panel is willing to draw an inference that the listed owner and Lorenzo “are related and have a common interest in the protection of the LORENZO trademark.” Accordingly, the disputed domain is identical to the LORENZO mark. There is no evidence that Tucows knew of or had reason to suspect Lorenzo’s possible rights in the LORENZO mark when it registered the disputed domain name in 1996. Only the Singapore registration predates the domain registration, yet there is not “strong evidence of use and notoriety” to suggest that Tucows was aware of the mark. The Panel accepts Tucows’ assertion that its personalized email service is a bona fide offering of services, and attempts to determine when that offering began. Though in some decisions panels have held that the disputed domain was registered on the date it was transferred to the respondent, the Panel here finds that approach to be inappropriate when, as here, the domain is used in conjunction with an ongoing business. Accordingly, the date of registration is considered to be the date of first registration, i.e., 1996. Even if registration were placed at the date of transfer, there is no evidence that the use was not bona fide on that date, as Tucows claims to have been unaware of Lorenzo until it received the complaint. Accordingly, the Panel finds that Tucows has a legitimate right and interest in the disputed domain name. In light of the previous finding, the Panel does not consider this ground. However, the Panel notes that it “would not find bad faith registration or use” based on the above findings. Complainant Texas Lottery Commission (“Texas Lottery”) is the official operator of the Texas state-run lottery. Since 1992, it has used the registered marks TEXAS LOTTERY & Design (registered in 1993) and TEXAS LOTTERY (registered in 2003) in connection with the those lottery services, including the website it operates at <txlottery.org>. Respondent CyberIntegration, LLC (“CyberIntegration”) registered the disputed domain name on July 31, 2006. 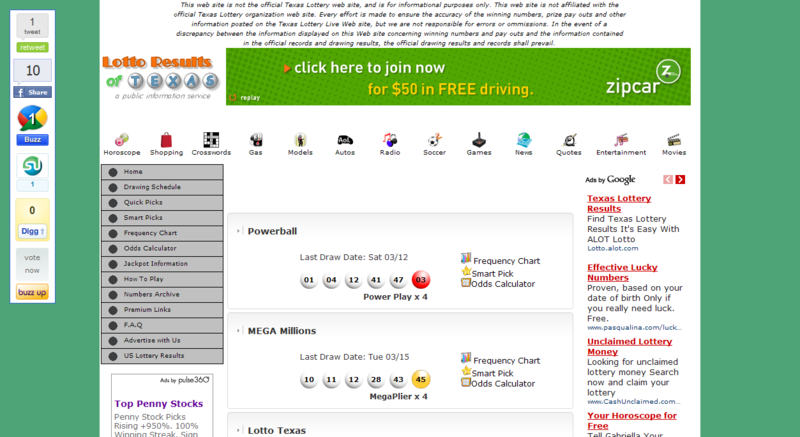 It uses the disputed domain name in conjunction with a website that displays results of drawings conducted by Texas Lottery, as well as links and content from competitors of Texas Lottery. Accordingly, Texas Lottery has satisfied the first prong. For these reasons, Texas Lottery has not satisfied the second prong. Because CyberIntegration is making a bona fide offering of goods or services, “this Panel cannot conclude that the registration of the Domain Name was done in bad faith.” Therefore, the majority of the Panel finds that Texas Lottery has not satisfied the third prong. Relief shall be DENIED. It is Ordered that the disputed domain name REMAIN WITH Respondent. Panelist Fink dissents from the majority’s finding that CyberIntegration is making a bona fide offering of goods or services. As he graciously points out, “Bona fide means done or made in good faith.” In his view, “bona fide refers to the good faith intent in using the domain name,” and “[k]nowingly using the mark of another in a domain name to market services or products does not constitute a bona fide offering of goods or services.” He cites decisions where rights or legitimate interests were found to be lacking where the respondent offered pay-per-click websites and sites marketing competing products. The plain language of the Policy requires a bona fide offering of goods or services, i.e., a non-bad-faith offering. The Panel found substantial evidence of bad faith use here. Therefore, CyberIntegration should not have been able to overcome Texas Lottery’s prima facie case that CyberIntegration lacked rights or legitimate interests in the disputed domain name.